Tribute to Domenico Modugno "Mr. Volare"
Domenico Modugno, the greatest Italian singer, was born in Polignano a Mare the 09 Genuary 1928. He is considered the father of the Italian singers and one of the most prolific artist in general. He has written 230 song, acted in 45 films and in 13 theatrical performances. His biggest triumph is the song "Nel blu dipinto di blu" also known as "Volare", come out in 1958. 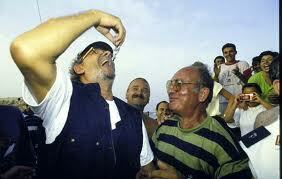 The 28th august 1993 he comes back to Polignano that welcome him in the best way participating to his wonderful concert. A memorable evening at which participated 70.000 people. 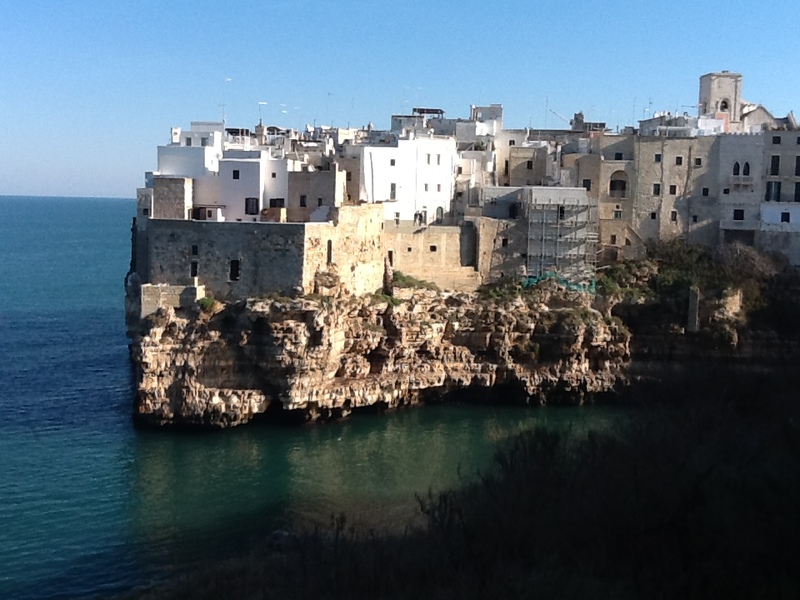 During the representation called “Modugno torna a casa” the singer marched on a boat, along the coast of Polignano and moved inside the city with the car of Dino Risi’s film "il Sorpasso”. 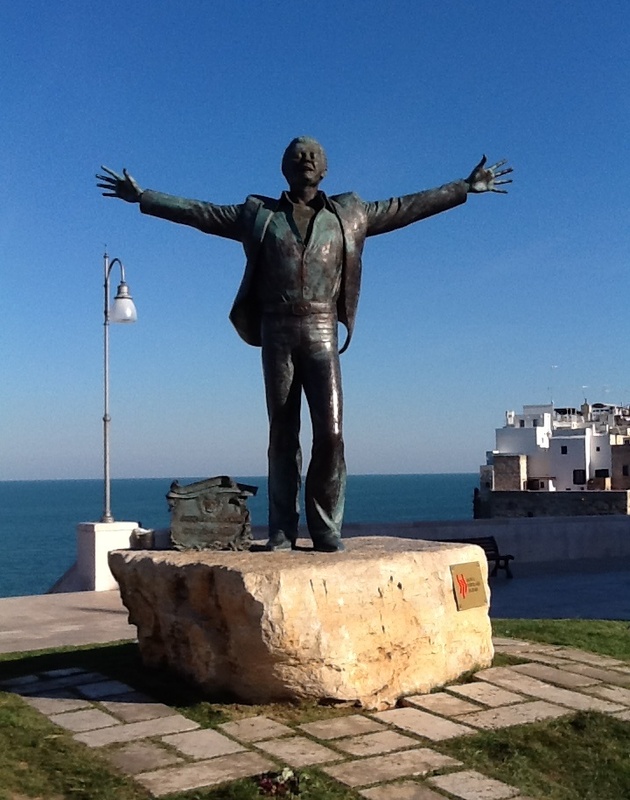 In 2008 in Polignano a Mare a statue named after him was built nearby the seafront.